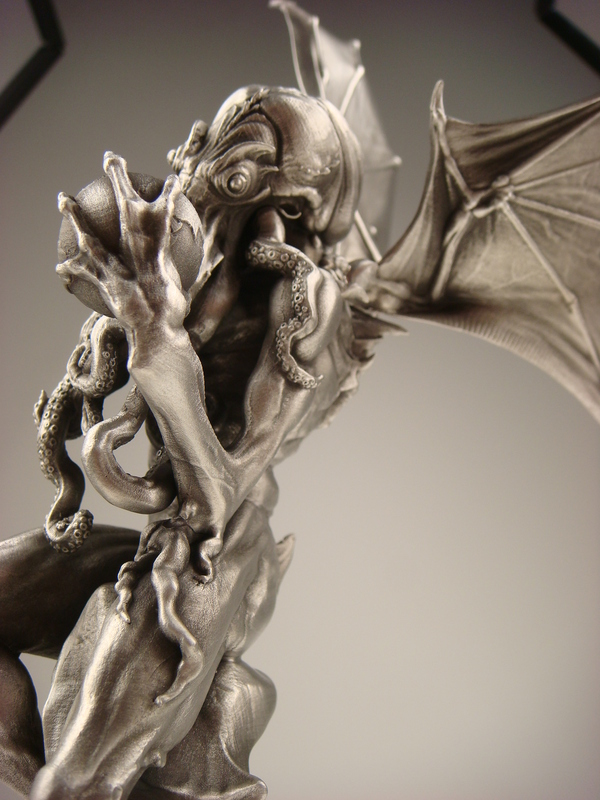 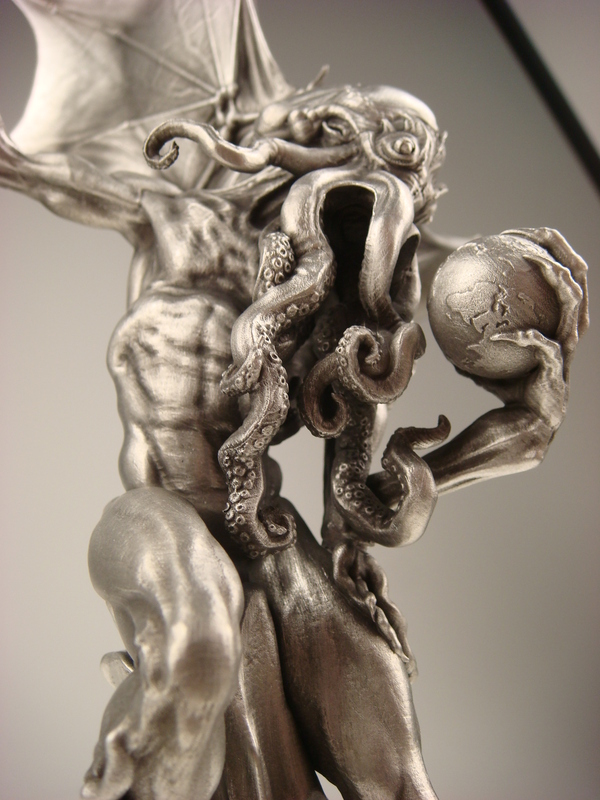 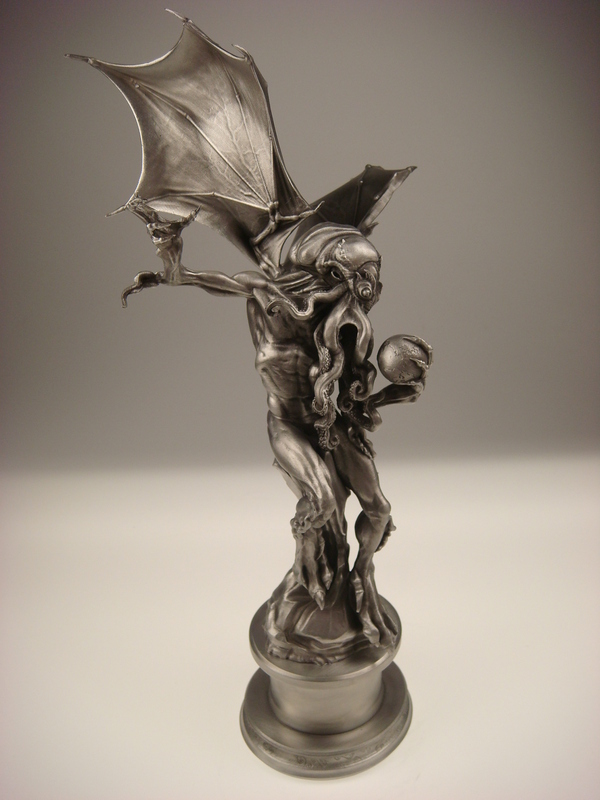 The FilmQuest Cthulhu Trophy has been designed by Ryan Peterson, an extremely talented and gifted artist and designer who worked with Rick Baker on such films as Men in Black. 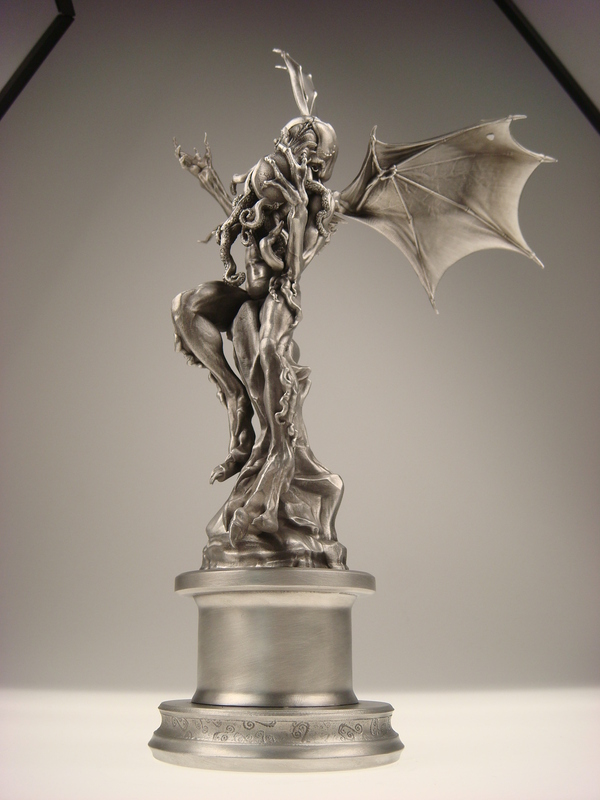 He helped conceptualize Beast for the X-Men films, and also designed the creepy Benjamin Button baby for the film. 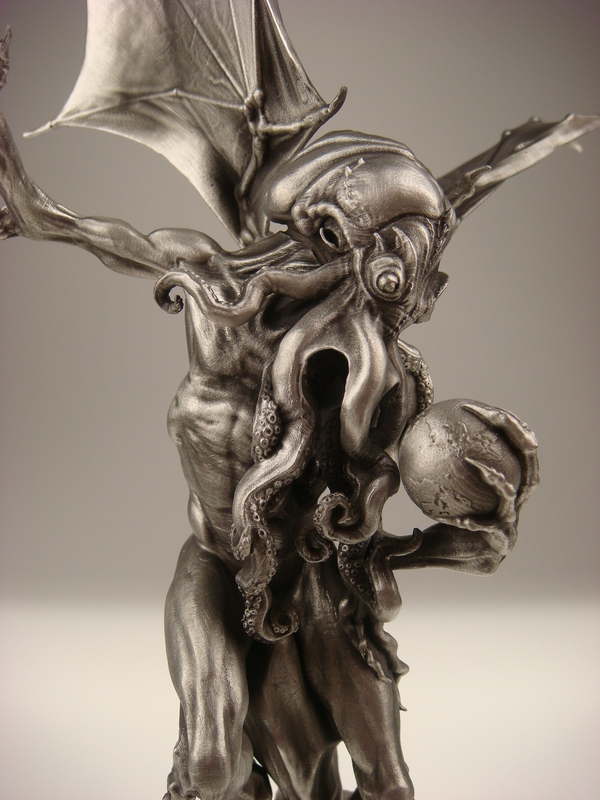 Ryan went into the heart of the Cthulhu mythos, and created a unique vision of the Cosmic God that has rarely been seen. 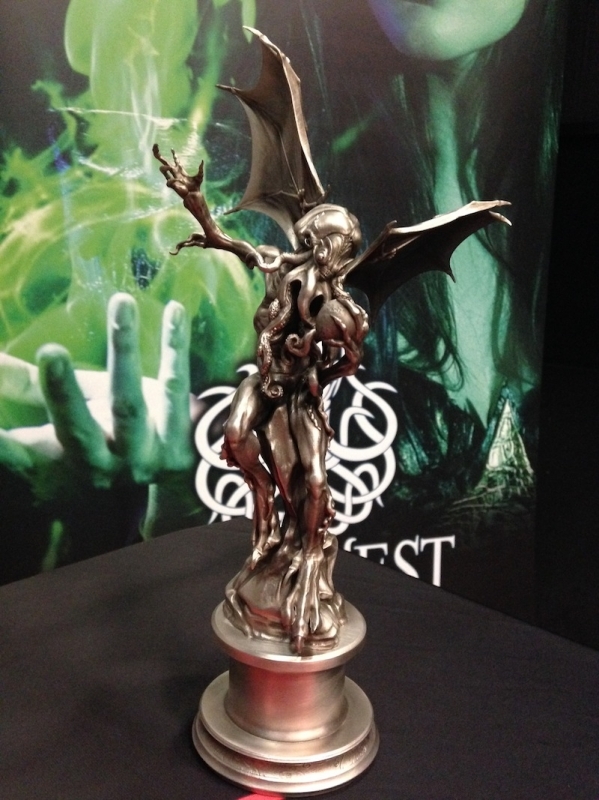 Society Awards, the same company who makes the Golden Globes and Emmy’s, manufactured the award exclusively for FilmQuest. 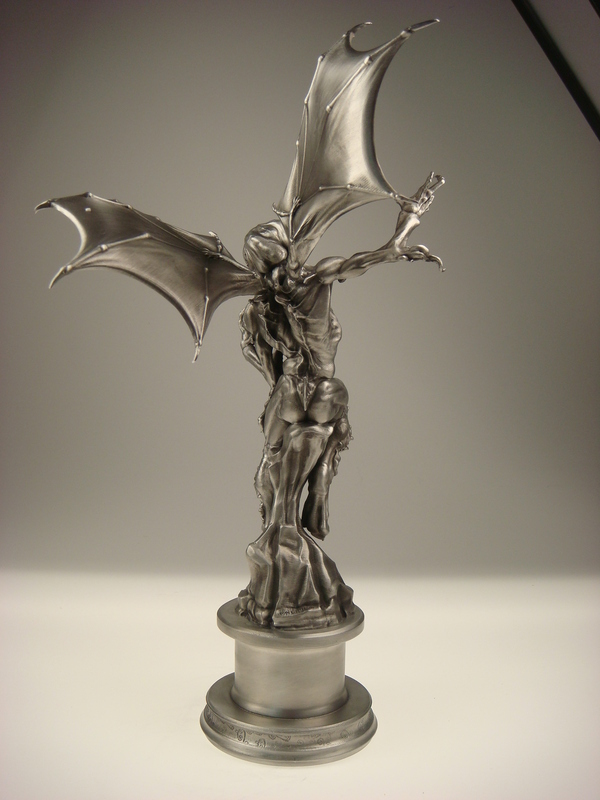 After taking Peterson’s beautiful design, Society Awards built a 12 inch tall, brushed silver award that weighs over 3 pounds. 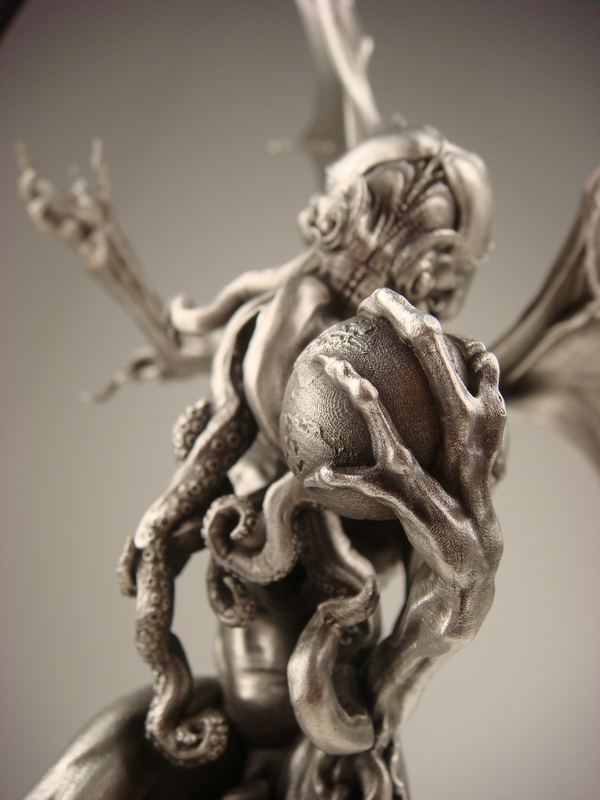 It is a gorgeous display of artistry and craftsmanship, of true collaboration at work. 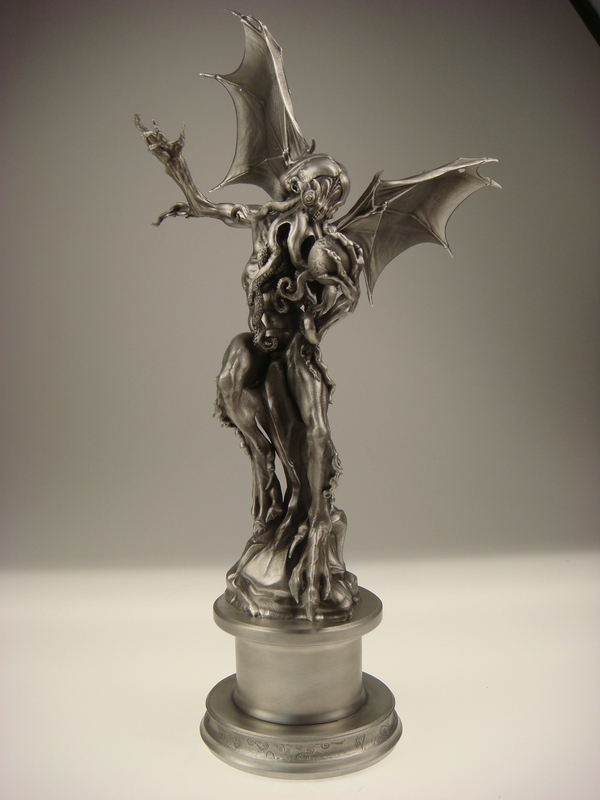 We couldn’t be any more proud of the FilmQuest Cthulhu Trophy and the great work all artists put into making our vision a reality. 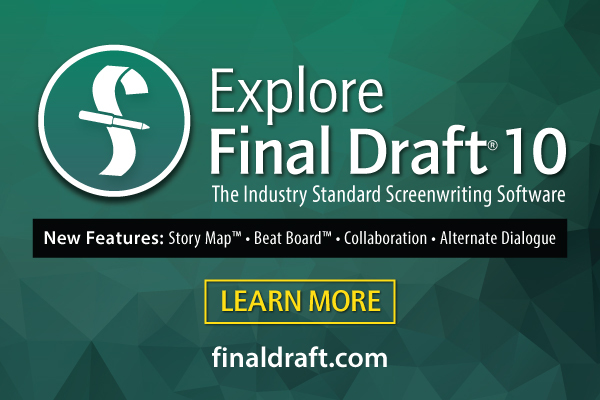 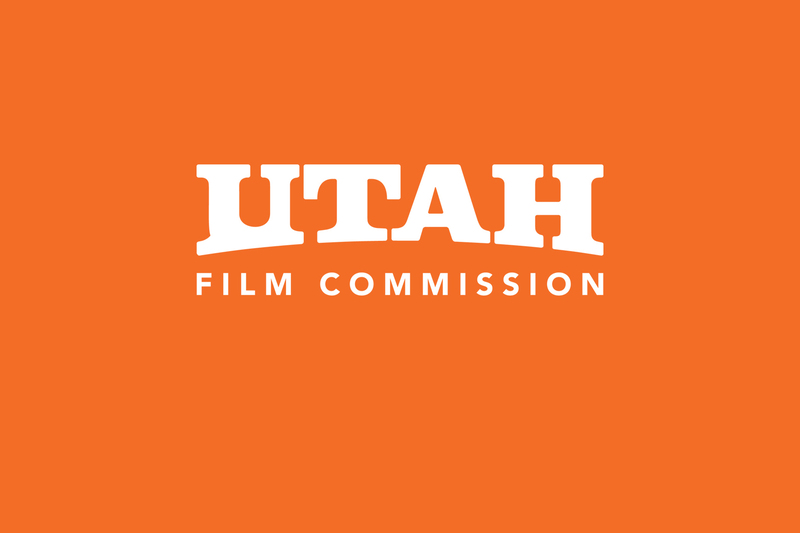 We believe this is one of the finest awards in the entire industry that will only grow in stature and prestige in the years to come, and we absolutely cannot wait for filmmakers to take them home.